The reason for safe lifting and carrying techniques is to avoid back injuries and back pain, but for this to be achieved we must look at lifting and carrying as more than simple techniques. These techniques must form part of our behaviour, they need to be habitual and be an unconscious part of the way we function. 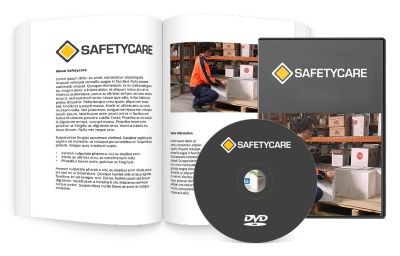 The aim of this training course is to encourage the participants to develop safe lifting and carrying techniques. The course introduction clearly explains the aim of the course and why the course is being conducted. It also contains an icebreaker exercise called ‘Let’s Think About it’. During this session the participants are involved in a workshop exercise called ‘A Lifting Experience’. The exercise helps to focus the participants on the subject of lifting and to get them thinking about and discussing the correct lifting techniques. The purpose of this session is to provide the participants with a good anatomical understanding of the back. This will assist the participants to understand the immediate and potential long term damage that can result to the back when an injury occurs. This session looks at how the back can be injured. It focuses on two main groups of back injuries; muscle and ligament injuries, and disc injuries. This session looks at the ‘ideal’ way to lift an object, the rules to follow when carrying an object and the factors to consider when placing or setting down a load. The course recognises that it is not possible to perform an ‘ideal’ lift in every lifting situation so it also covers a set of lifting principles that you can apply whenever you are confronted with less than perfect lifting conditions. This session involves the participants in a series of practical lifting and carrying exercises. It encourages the participants to change their behaviour (if necessary) and make a habit of safe lifting.